Too often we are quick to decry our hurts while we disavow the pains that others feel. Instead of acknowledging the distress of those who are not like us or look like us; too many would rather discredit “them” while only accepting the hardship of “us”. It seems that humanity is devolving into chaos as everyone tries to monopolize suffering. In the process we let bluster and bombast be our moral compass thinking we can salve our wounds by tearing other people down. This is imprudence at its height; we gain nothing by turning to violence and and fiery rhetoric to burn our fellow brothers and sisters. I write this article in deference and defense of Oromo people who are my fellow Ethiopian brothers and sisters; in reality this reflection applies to anyone who has felt the tinge of persecution and felt excluded from the privileges that society nation confers upon their citizens. The Oromo people are a proud and valiant lot who comprise more than 40% of the Ethiopian population. 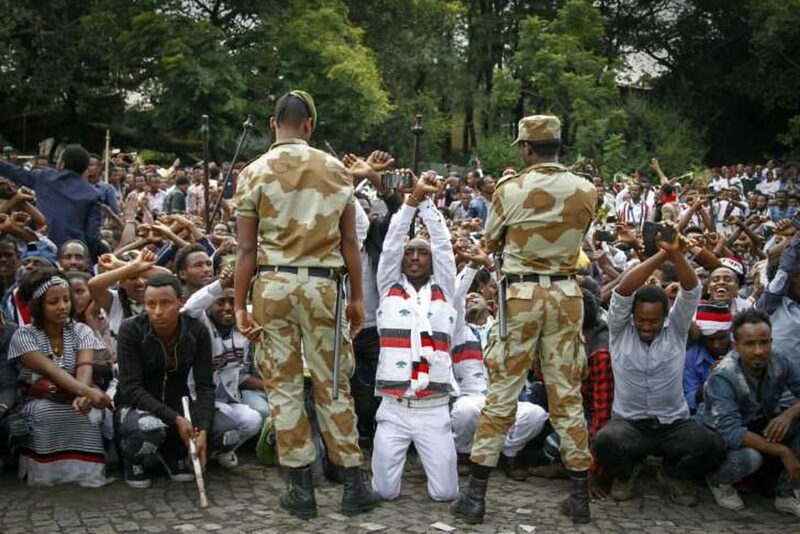 Yet, for generations, Oromo people have been targeted for harassment and mistreatment by past governments and the savage TPLF government (link). I hate to speak of manners in this way, to say they instead of us. But not calling out specific hurts visited upon Oromo people would be an injustice on itself. One article is not enough to detail the systematic oppression that Oromo people have endured for more than a century. The current capital of Ethiopia, Addis Ababa, was once called Finfine (which means brook) and was a majority Oromo town. King Menelik II decided to move the capital from Gondar to Finfine and changed the name to Addis Ababa, which means new flower. The new flower thrived by sucking dry the brook that was Finfine. The city was built by displacing endless numbers of Oromo people and turning them into refugees in their own nation. Oromo people were victims of gentrification much the same way that brown people in DC are steadily being driven out in order to make way for the moneyed denizens who are now drinking frappes in the same locations where poor brown folk were forced by lack of choice to buy chicken from convenience stores. The once chocolate city is turning into 1% elite homogenized milk as the city counsel and mayor Bowser are more worried about welcoming corporate stores than they are about caring for their constituents. Greed is the end of nations; those who neglect this rule eventually become victimized by the same avarice they once thought was a virtue. Beyond the fact that globalist monsters have colonized the entire world (link), another reason that Ethiopia is sinking into the abyss is because too many have been misled to believe that development of buildings and accumulation of wealth by a few is a reflection of the health of a nation. If you want to know how a society is doing, do not look at the opulence of the few nor the shinny buildings that keep popping up—judge a country by how it treats the least of them who suffer in silence. I started to think about the persecution that has been visited upon Oromo people while writing the article about Mahmoud Ahmed (link) last evening. Listening to his music and hearing an interview that he did with Ali Birra—as Mahmoud gave a nod and homage to Oromo people—made me reflect about this notion of true justice. If we are not able to speak for the sum of people who hurt and instead only stand for the fraction, we too become part and parcel of injustice. Redemption for all or suffering in toto; either we all thrive or one by one we will all languish. If only we can embrace each other in hardship the same as we do when we celebrate through music, injustice would be no more. So as I stand up for justice in Ethiopia, I stand up for Oromo people the same as I do Tigray people and the rest of the 64 tribes for the source of inequity has not been about tribes, the root of oppression has always been and continues to be the powerful versus the rest. Likewise I count as my fellow strugglers a brown child in the inner cities of Chicago and a “white” child in Boise, we need to stop seeing justice through color if we ever want justice to ebb. One thing I know to be true above all; only unity can overcome a system of repression that is hobbling the masses and killing hope without regard to race, gender, religion, orientation or the endless ways we let others divide us.